For years the Oromo Liberation Front campaigned against Ethiopia’s repressive TPLF-EPRDF regime. But with the new Oromo Prime Minister and growing faith that the 1991 Constitution would be re-implemented, talks have finally delivered a roadmap to peace between the two actors. Nevertheless, the OLF and UNPO remain cautious and hope that the Ethiopian government will honour its commitments to the peace process and that further steps are made in the interest of the population at large. 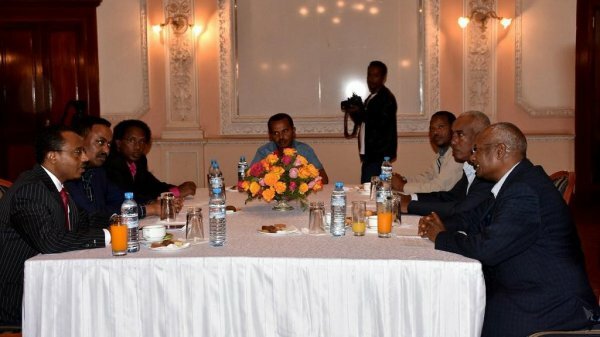 The Federal Republic of Ethiopia and the Oromo Liberation Front (OLF) have signed a Reconciliation Agreement today, 7 August in Asmara. The Reconciliation Agreement was signed by the President of the Oromia Region, Mr. Lemma Megersa on the Ethiopian side and by Mr. Dawd Ibsa on the OLF side. Dr. Workneh Gebeyehu was present at the signing event. The Reconciliation Agreement includes termination of hostilities and the OLF to conduct its political activities in Ethiopia through peaceful means. The two sides also agreed to establish joint committee that will oversee the implement the agreement.